Rajasthan GK Question in Hindi Sample Paper 25: Rajasthan General Knowledge Sample Question Paper No. 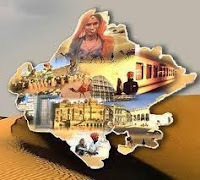 25 with Collection of Rajasthan GK Questions under GK Quiz in PDF @ Rajasthan GK Sample Papers. Q.951 Who Minister of Information Technology (IT) in Rajasthan Govt. ? Which of these are Kharif Crops ? Q.955 The Proposed 1200 MW Kalisindh TPS is located in district of ? Q.956 What is full form of PC ? Q.957 Which company is nicknamed "Big Blue"? Q.958 Which among following is NOT archaeological site in Rajasthan ? Q.959 Which among following is not a programming Language ? Q.960 Akbar defeated Hemu in ? Q.961 Who is Inventor of "C" Programming language ? Q.962 Who setup Home rule league in Poona ? Q.964 Who among the following named Jamshedpur after Jamsedji Nusserwanji Tata ? Q.966. Which sikh guru completed the compilation of Adi Granth ? Q.967 What does “DOS” stand for? Q.968. Who founded SERVENT OF INDIA SOCIETY ?